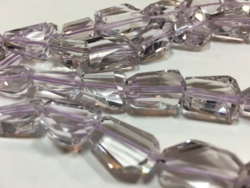 We are offering 16 inch strand AAAA++ Pink Amethyst Laser Cut Tumbles Beads Products Price: 75.00 $ per line 'Based on the dollar and may vary as per dollar fluctuation. Undrilled 10 Pcs. 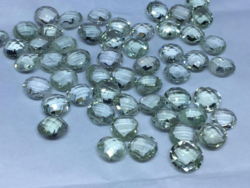 Lot Very Good Quality Green Amethyst Briolette Cut Stone 14.8 Ct. Loose Products Price: 25 $ per line 'Based on the dollar and may vary as per dollar fluctuation.